Today, it's "come as your future self" in granddaughter 1's PK 1 class at Gymboree. We can't really decide what to dress her. Ballerina or as Princess Sophia? We combined the two. She went as a ballerina in her tutu then completed the attire with a tiara. 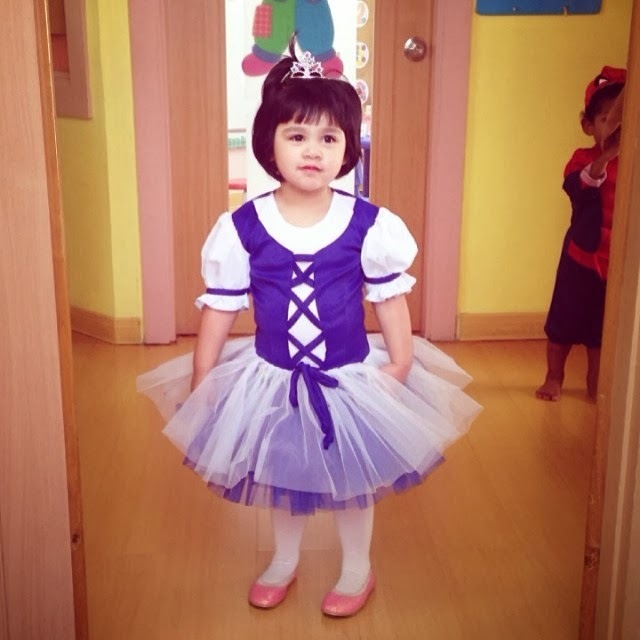 When her teacher introduced her as Princess Sophia, she gracefully waved her hand to her loyal subjects... us! Ok. The tutu is a bit big as it was D2's tutu of 25 years ago.